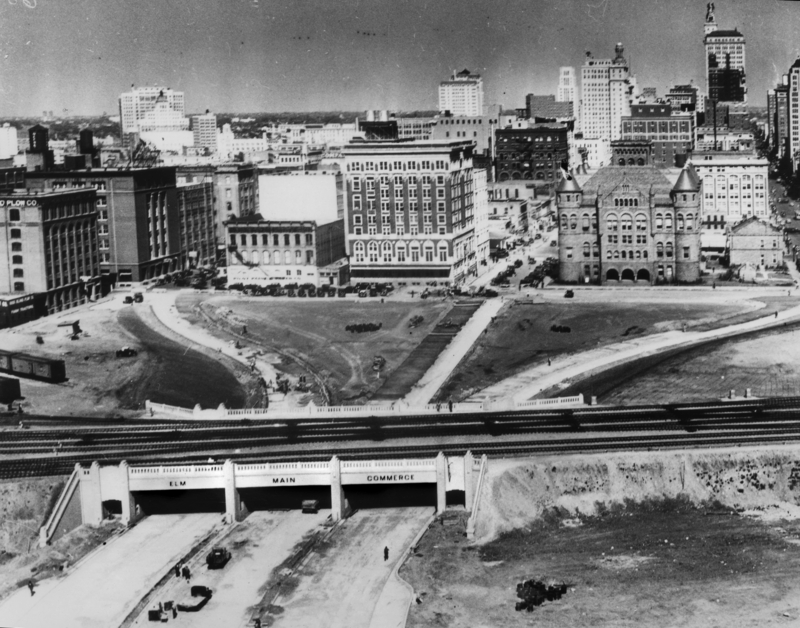 Dealey Plaza and the triple underpass were envisioned as an impressive “Gateway to Dallas” — for visitors arriving from the west, this attractive and welcoming sight would be their first impression of the city. Construction was completed in 1936 as the city was preparing for its mammoth Texas Centennial celebration. Little did anyone know back when these photos were taken in 1935 that “Dealey Plaza” and “Triple Underpass” would one day be place names known around the world and that the not-at-all remarkable Southern Rock Island Plow Co. building seen in both of these photos would become a must-see site for almost every out-of-town visitor to the city. 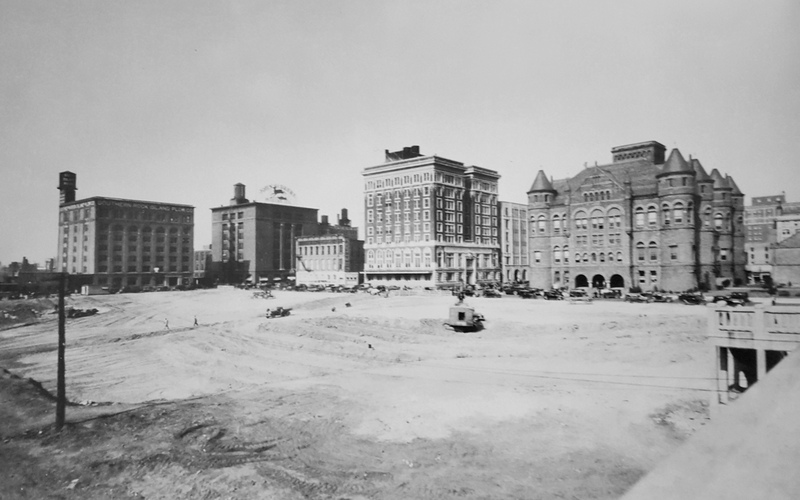 The top photo, showing the cleared land that will become Dealey Plaza is from The Hayes Collection, Dallas Public Library Texas/Dallas History and Archive Division; I found it in the book Dallas Then and Now by Ken Fitzgerald (San Diego: Thunder Bay Press, 2001). 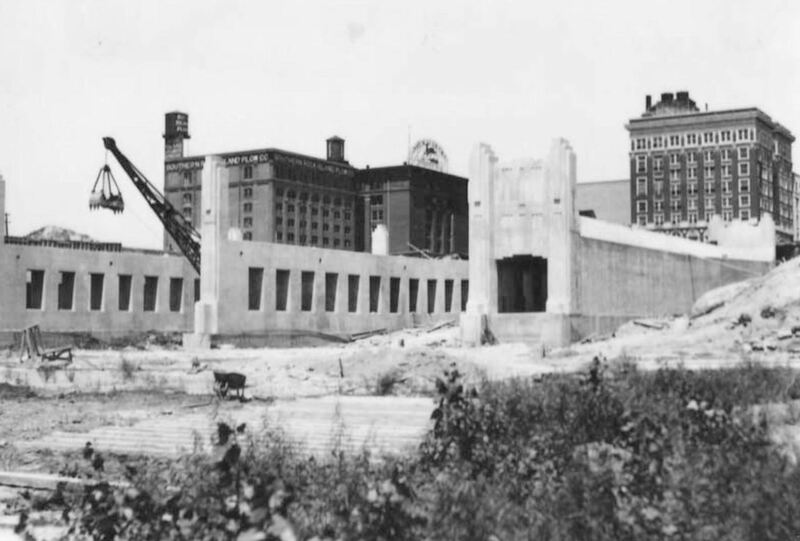 Bottom photo showing the “triple underpass and south pedestrian tunnel under construction” was posted by M. C. Toyer in a very interesting Phorum discussion on this area (with a lot of great photos), here. More on Dealey Plaza can be found here. More on the Triple Underpass can be found here. More on the John F. Kennedy assassination can be found here. That John Deere sign was my favorite little detail. Thanks for the linked photo!